Educational psychology involves the study of how people learn, including topics such as student outcomes, instructional procedures, personal differences in learning, gifted learners or learning disabilities. Psychologists working in this field are interested in how people learn new information and maintain it. Psychology is a science concerned with the search for the behavior of the individual and his character and study of his sentimental or unconscious behavior in order to achieve interaction and adaptation to the surrounding environment. Psychology aims to understand, interpret, organize and control individual behavior. It is the acquisition of experiences, skills, social habits, and psychological ideas; through the observation and transfer of values and principles of cultural and behavioral origin of the environment. (1) Educational psychology is defined as a science based on a set of theoretical and applied facts. It is a branch of psychology that deals specifically with theoretical studies and applied procedures for the principles of psychology in the various fields of study. It aims to provide the organized facts and instructions that help the teacher achieve his goals, assess the results, determine human relations within the school grades, and arrive at laws that contribute to the future control of different situations. (2) Educational psychology is the study and interpretation of the behavior of the individual and analysis in educational places; to ensure a proper understanding of the process of learning and education, and examine the behavior of the learner within the classroom, as well as in providing teachers with information, principles and important theoretical and practical experiences to understand the way of learning and education, and increase their level and skills. (3) Educational psychology is defined as "the psychology of educational systems and the scientific study of human behavior that is issued during educational processes." It is an area that studies human behavior in the teaching and learning situations of individuals. There is a strong relationship between psychology and education. Educational psychology is a study of the process of the behavior of the learner in different situations, and psychology examines the problems of education directly and determines the psychological aspects of them. The responsibility of psychology in education is determined by finding the appropriate methods and solutions that help the educational process to achieve its goals and modify them and guide them in a practical direction to serve their interests, and help in understanding the psychology of the learner and the method of education, and the development of scientific and methodological methods and Innovative teaching techniques and learning strategies. Educational planning is the drawing of the future image of society and the foundations and methodologies that must be followed to achieve the objectives required for more than seven years, and the advantages of the existence of greater freedom and movement and also features the possibility of solving problems before significant damage. When we understand the concepts and principles correctly, the success of the educational process increases, and when the learner understands the nature of the concept, rules, theories, and differences, all contribute to the promotion and success of the profession of education. To conduct experiments to obtain the best curriculum in various fields. To understand and interpret the behavior of the learner. 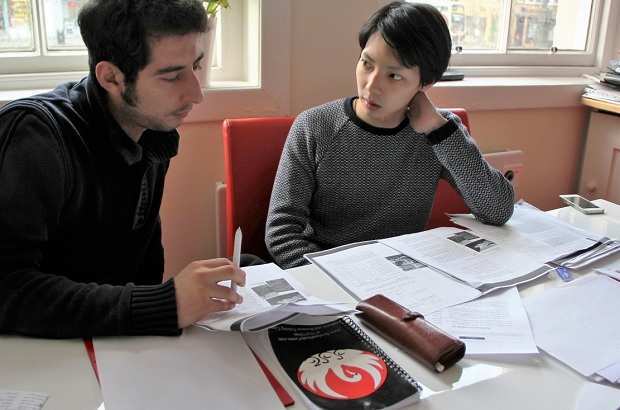 To conduct various tests to find out the students' intelligence. To provide enrichment activities and programs to strengthen intelligence and stimulate the brain. To achieve interaction and responsiveness between students and the surrounding environment of teachers and school. To work on the formulation of the various skills of teachers in a way that allows them to benefit more. To Adopt a sound scientific methodology to determine the trends and habits of learners and the educational process. To familiarize children with good habits and attitudes. To study the basic principles and conditions of learning. Access to knowledge through which the systematic relationship between variables in educational situations can be explained. Adjustment of the ability to control variables that contribute to a phenomenon. Measurement of behavior is done by establishing experimental and analytical tests that measure several psychological aspects and require the maintenance of honesty and consistency in the preparation of these tests. : It is necessary to provide a clear scientific explanation for the outcome of these tests and try to understand the tendencies of the individual and the discovery of psychological needs. The second is to translate this knowledge and principles in practice and apply them realistically and make the necessary adjustments if needed to reach the desired result. Physical, moral and emotional growth. Learning theories and methods of measurement. The interaction between students themselves and between students and teachers. Physical and psychological health of students. Educational achievement and the conditions for building psychological and educational tests. The impact of learning and the method used in education and control the educational process. Scientific study: linking the accumulated information on the subject of the study and experimental studies and explorations applied to the same subject, and try to understand and explain and clarify the content and significance. Behavior: Observe the facial gestures and verbal and emotional movements of the individual and the reactions it produces, and linking them to the interpretation and understanding of the individual's state and feeling and anticipation of his behavior. Educational attitudes: Attitudes and reactions occur in the educational session or the classroom, which result in interaction and partnership between the teacher and the learner. Education and learning: Learning and teaching are two interrelated interactive and interactive process. Learning is a constitutive process of education that begins from the first months of childbirth, during which a behavior change is relatively stable and is not affected by maturity, fatigue or other. Positive behavior is conditioned by educational rules and principles. Education and learning processes are complex processes, where the teacher needs continuous integration and constant development of his educational skills and teaching methods to suit general and specific educational goals, to achieve these goals, and to ensure that the educational process is successful in its performance. —To enrich the teacher with the basic laws and fundamental theories that explain the educational process and control it, in order to apply them scientifically and objectively in the school environment and classroom, and provide these theories possible suggestions for some problems that may be exposed to the teacher or student during different educational situations. —To achieve the most important information and skills provided by the educational psychology to educational staff; exclusion of educational theories and opinions based on personal impressions and inaccurate and subjective observations. Some of these views were based on personal experiences, subjective viewpoints, often contradicting the foundations of scientific facts and theories. In modern educational psychology, these theories are evaluated by subjecting them to systematic and thoughtful scientific research. —To provide assistance to individuals in charge of the educational process, in order to identify the inputs and elements of the educational process; for example, the characteristics of the learners and the educational environment, and their outputs of assessment and measurement tools, and educational tests. —To provide the teacher with the skills of scientific description, and the theoretical understanding of the educational process, through the achievement of the objectives of general educational psychology and its components, and predict the outputs, and try to control. —To instruct the teaching staff to take advantage of the relevant psychological theories in the process of growth, and developmental characteristics that follow the age stages, in addition to studying the motives of learning, mental skills, intelligence, thinking, remembering and problem-solving, to understand the mechanism of learning and teaching. —To provide the teacher with a foundation of the correct rules and laws and theories of learning and education, which enables him to choose the applications of psychological principles and the relevance of a specific educational situation, so that the teacher to assess the appropriate method according to the school environment and psychological characteristics of the teacher and student. Objective Problems: The teacher must set appropriate goals to start the educational process and build a clear picture of the expected accomplishments and provide students with it. Individual differences among students: Students differ in their mental abilities, physical strength and social relationships; this puts the teacher in a challenge to meet their differences and understand their personal characteristics to see how well they can achieve the goals. Learning Problems: The teacher must choose the right way to attract the attention of students and influence them and communicate the information to them clearly and smoothly; so the teacher to know the different characteristics that govern the way of education according to educational situations. Current Issues in Education system: The teacher must use different methods of education. These methods can be the multiplicity of teaching materials and educational subjects and the capacity of students absorption. Evaluation problem: Evaluation of the educational process, achievements, and knowledge of the effectiveness of the educational process, and whether they are moving in the right direction or facing a problem. 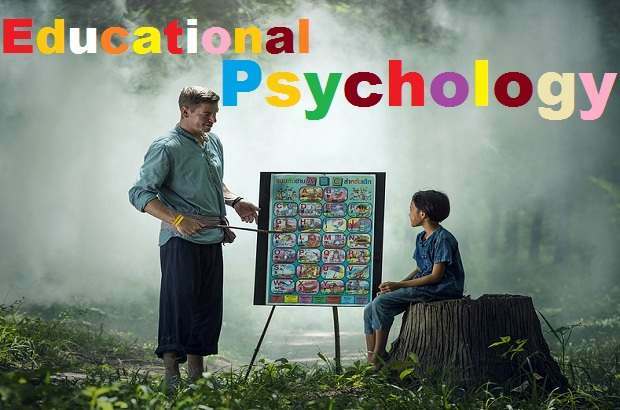 Educational psychology offers strategies and methods that will help the teacher to understand the student's psychology, through the development of educational curricula in light of the students' abilities and aptitudes so that students are not overloaded. Apart from research on students' motivation for the learning process, research the psychological problems faced by the student at various age levels and employ the students to reach the stage of acceptance and positive dialogue, and thus achieve the success of the educational process. The importance of studying the factors that affect the success or failure of the educational process and the achievement of its objectives. The most important factors include methods and strategies of learning and suitability for the categories of students, and their sensitivity to individual differences, the student's personality, social circumstances, level of mental and cognitive maturity, and the amount of motivation for the learning process. The general and emotional atmosphere of the classroom has a great impact on the functioning of the educational process correctly and effectively. There are many other factors affecting educational psychology with theoretical and applied scientific research.